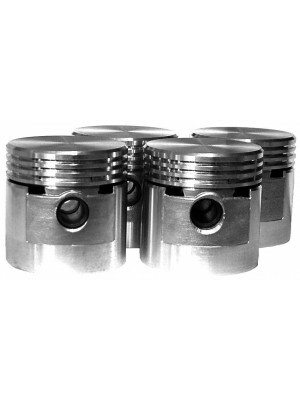 Piston Set - .STD- Quality made pistons with pins and lock rings. Standard bore- set of 4..
Piston Set - .020 oversized. Set of 4 pistons with pins and locking clips. Quality made..
Piston Set - .040 over sized- Set of 4 quality pistons with pins and lock rings..
Piston Set - .100 over sized with pins and lock rings. 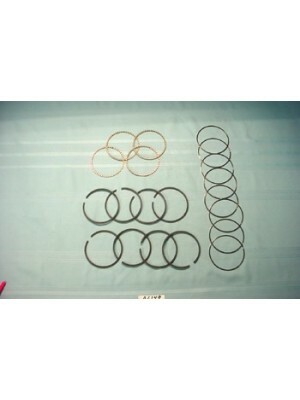 Set of 4..
Piston Set - .125 oversized- Set of 4 pistons with pins and locking rings..
Piston Ring Set - Standard bore- Hastings brand- USA Made..
Piston Ring Set - .020 oversized- Set of 4 sets of rings- Hasting brand..
Piston Ring Set - .030 over sized- Hasting brand- USA made..
Piston Ring Set - .040 oversized- Hastings brand- USA made..
Piston Ring Set - .060 oversized- Hastings Brand- USA made..
Piston Ring Set - .080 oversized- Hastings brand- USA made..
Piston Ring Set -.100 oversized- Hastings Brand- USA made..